Sanctuary Expands – More Protected Areas for the Birds! 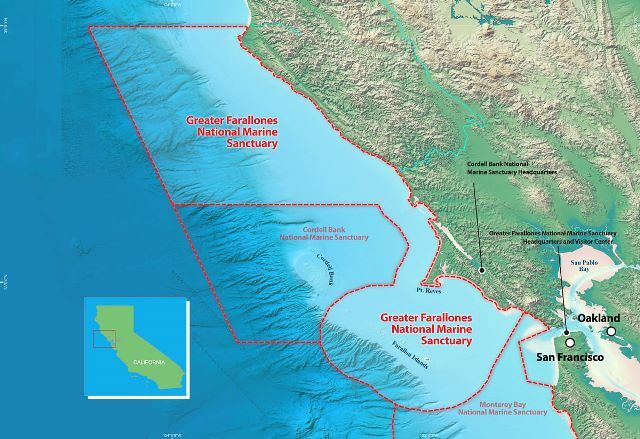 Greater Farallones National Marine Sanctuary (formerly Gulf of the Farallones National Marine Sanctuary) has expanded. 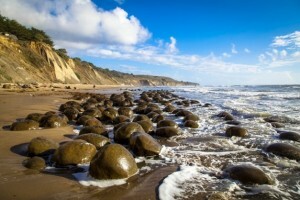 Now the Greater Farallones National Marine Sanctuary protects 3,295 square miles of ocean, including important breeding and feeding areas for seabirds from just north of San Francisco to Manchester Beach near Point Arena. The Sanctuary protects thousands of species and a variety of habitats including open ocean, nearshore tidal flats, rocky intertidal areas, estuarine wetlands, subtidal reefs, and coastal beaches. Within the newly expanded sanctuary, there are regulations that protect wildlife (15 CFR 922.3 and 15 CFR 922.82). Throughout the sanctuary it is prohibited and thus unlawful for any person to “take” any marine mammal, sea turtle, or bird within or above the sanctuary, except as authorized by the Marine Mammal Protection Act, Endangered Species Act and the Migratory Bird Treaty Act. “Take” includes operating an aircraft or doing any other act that results in the disturbance of any marine mammal, sea turtle, or seabird. Also, federal law prohibits disturbing marine mammals or seabirds by flying motorized aircraft at less than 1,000 feet over the waters within any of the seven designated Special Wildlife Protection Zones [described in appendix D (15 CFR 922.82)], except when transiting Zone 6 to transport persons or supplies to or from Southeast Farallon Island when authorized by the U.S. Fish and Wildlife Service, or for enforcement purposes. Failure to maintain a minimum altitude of 1,000 feet above ground level over such waters is presumed to disturb marine mammals or seabirds. Seabirds and marine mammals are sensitive to low flying aircraft, and these long-established zones are in place to protect wildlife from aerial disturbance. NOAA has worked with the FAA and the new zones appear on the August 20 2015 sectional chart update. Click to download new chart here.